Product #18608 | SKU TA2 | 0.0 (no ratings yet) Thanks for your rating! This is a set of two circular-polarised Paralinx Cloverleaf Antennas for the Tomahawk and Arrow-X transmitters, designed to sustain the reliability of the transmitter in difficult environments. They help mitigate dBi loss from reflections as the polarisation does not change when waves reflect off surfaces. 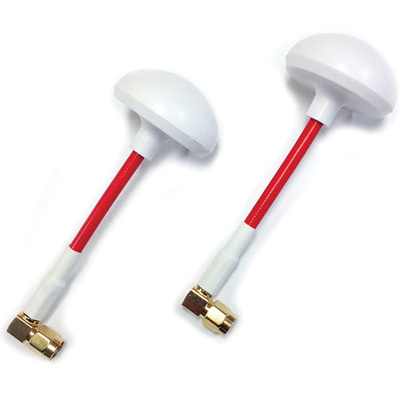 These antennas feature RP-SMA connectors and operate within the 5.1-5.8 GHz frequency range.